For years, hearing your book come to life was a fantasy reserved for top-selling authors. But we live in an amazing age where technology makes yesterday’s imaginings today’s reality. 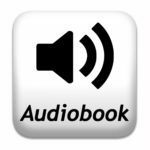 Not unlike how Amazon helped drive the Indie ebook revolution with Kindle Direct Publishing, they are at it again with Audio Creation Exchange. However, much like the trials of ebook publishing, sharing your book with listeners is not as simple as reading it aloud. Thus before hiring a producer, or biting the bullet and self-producing, a few things are worth considering. Producer – The person who records and masters the material. This may be the same person as the narrator/voice actor. Narrator – The general term for the person performing your book. Voice Actor – May also be referred to as narrator. However, this person can also bring multiple voices to life and expresses emotion. Take a deep breath, because there are a few things to consider before you look for a producer. Remember everything you did (such as editing and formatting) to give consumers the best reading experience? Now you need to determine how to give them the best listening experience. Books are meant to be read, not heard. Writers often give visual clues that do not translate into audiobooks. Are you willing to consider changes that improve the experience, or must the audio version match the original text without fail? Some things can enhance the listening experience, either by adding or removing them. One of those is dialog tags. The visual characteristics of a quoted sentence ending and a new paragraph beginning with another quoted line is an accepted cue a new person is speaking. If the conversation is two-sided, a dialog tag may not have been deemed necessary. If an actor uses vocal changes to represent new characters, a dialog tag may still be unnecessary. However, in the case of straight narration, where all voices sound alike, adding one would eliminate confusion. Conversely, when a character’s speech spans multiple paragraphs, writers often add the clue, “he continued.” However, when a character is read with a distinct voice, not only do these clues become unnecessary, they become pace-breaking distractions. Italics are often used to stress a word or to reflect deep thought. Stressing these items is part of a narrator’s job. However, quoted italics can reflect hearing a person’s thoughts, such as during telepathy. If you did not use dialog tags such as, “he thought”, translating the idea of telepathy into audio may be difficult, and changes should be considered. Consider making listening-enhancing revisions before submitting your manuscript. Let’s get to the fun stuff! There are many ways to create an audiobook. To keep this simple, I will focus on two methods; using ACX to hire a producer, and the self-production method—both of which I have experienced. Reputation – Simply stated, never jump into a partnership without ensuring it will be a strong one, and never hire a person you don’t want to work with. I turned down numerous offers for many reasons—some of which were less than stellar reputations for delivering the basics. Do not be afraid to ask your friends for recommendations or producers for references. Quality/Mastering (hiss, pops, clicks, timing) – Inadequate mastering can ruin a brilliant performance. While ACX has strict submission requirements regarding noise floor (the level at which hiss is heard) and level variation (a whisper and a yell need to be close in volume), there are no stated requirements regarding pops and clicks. Listen for these, along with timing. Timing is not only the pace at which a book is read, but also how lines are delivered. For comedy, the outstanding timing of Robin Williams and George Burns had us rolling in the aisles. Dramatic timing is just as important. The demo’s timing should fit the book’s genre. Eliminate Surprises – If part of the audition seems unfitting, yet you still suspect the voice actor could be a match, express your concerns and request a new audition. Re-reads are not unreasonable and may save both the writer and producer many headaches. Building A Partnership – I cannot stress the importance of this enough, especially if you wish to do multiple projects with the same person. I tell Hollie all the important things up front and then let her work magic. As a fellow actress, I completely agreed when she said, “Micromanagement is the hugest creative buzzkill around.” However, she also respects my concerns and will quickly make changes when things go awry. The bottom line is, if you are concerned that a producer will not give you the end results you desire, either find someone else or self-produce. I will preface this by saying I have decades of acting experience—stage, screen, and voice. Since my husband is an Indie film director/producer, resources are at my disposal. Still, it took quite a bit of working with sound engineers before I could produce a solid audiobook. The absolute basics to home recording include: a room with a low noise floor (I lined the quietest room in my house with moving blankets. ), proper equipment (A good microphone, a pop filter, a pre-amp, a Mudguard, and a stand will cost several hundred dollars. ), and editing software (I pay $20 a month to use Adobe Audition.). Have I scared you out of the self-production method yet? Learning the recording and mastering process is a hurdle, yet producing audiobooks is simple compared to other types of sound engineering. While I highly recommend ACX’s video series on recording, the installment on mastering falls short of providing usable information. Thus, you might want to consider hiring someone to master your files. However, if you really want to give it a go, ACX does have an Audio Masters class. ACX does not offer the option to hire a producer only to master files. Thus, you will need to pay someone outside of their system. 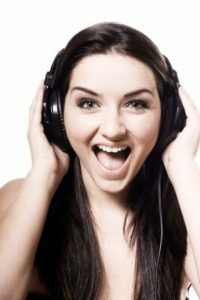 Professional sound services can be expensive and offer more than you need for an audiobook. I strongly suggest contacting local filmmaker groups (Here in San Francisco, we have Scary Cow.) or colleges to seek immerging talent at a reasonable rate. Though there are also services that will perform this task for you, I’ve yet to find an author who has done this, thus I cannot make a recommendation. This is a lot to digest, but once you get your head around the process, it’s actually a lot of fun. I have to say that having done this with a partner and now producing myself, I prefer the partner route. Then again, I struck gold with Hollie. With a little determination to find the right person, you can too. Either way, bringing your book to life is a rush akin to the time you held your first novel in your hands! The benefits to partnering with an experienced producer are no learning curve, a faster turn around, often better talent than an inexperienced performer can provide, and a built-in audience, as many often have their own fanbase. The con is you may not get the creative control you desire. The benefit to self-production is full creative control. The cons may include steep learning curves in voice acting, recording, and mastering. Check out this book, completely narrated and edited by the author. 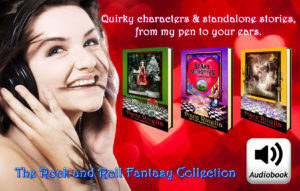 Click here to check out Hollie’s magic: 3 books, 5 voices! 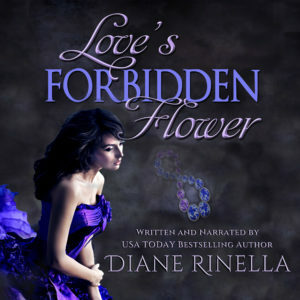 Enjoying San Francisco as a backdrop, the ghosts in USA Today Bestselling Author Diane Rinella’s one hundred and fifty-year old Victorian home augment the chorus in her head. With insomnia as their catalyst, these voices have become multifarious characters that haunt her well into the sun’s crowning hours, refusing to let go until they have manipulated her into succumbing to their whims. Her experiences as an actress, business owner, artisan cake designer, software project manager, Internet radio disc jockey, vintage rock ‘n’ roll journalist/fan girl, and lover of dark and quirky personalities influence her idiosyncratic writing. Taking her own love of storytelling, not just for her own work, but that of others, Hollie (aka Narratrix) found her true calling in the vocal booth. From the innocent to the risqué, the snarky to the serious, Hollie’s voice brings characters of all types to vibrant, compelling life, letting you sit back and allow the words to wrap around you and work their resonant magic. She grew up getting lost in the rich worlds of poetry and prose, and truly enjoys sharing that with others through the spoken word. Stories are, after all, meant to be spread by any means necessary, right? With over 300 audiobooks narrated and produced to date, she’s worked with authors/publishers both Indie and NYT/USA Today Bestselling, Hollie enjoys an eclectic range of genre and likes to carry that over into the studio: from contemporary romance to paranormal thrillers, historical fiction to epic fantasy, from steamy erotica to tamer YA titles. Tagged audiobook creation, audiobook DIY, audiobook narration, audiobooks, audiobooks for authors, home audiobook recording, home recording, writing audiobooks. Much obliged to you for the tips you shared with us. Think about it, this was actually what I’m searching for. Your blog is persuading me that I need to think to begin my very own book recording. This is all that anyone could need, I’m astounded by your blog now. Thanks so much, Denice. I’m glad you found the information helpful. Best of luck!